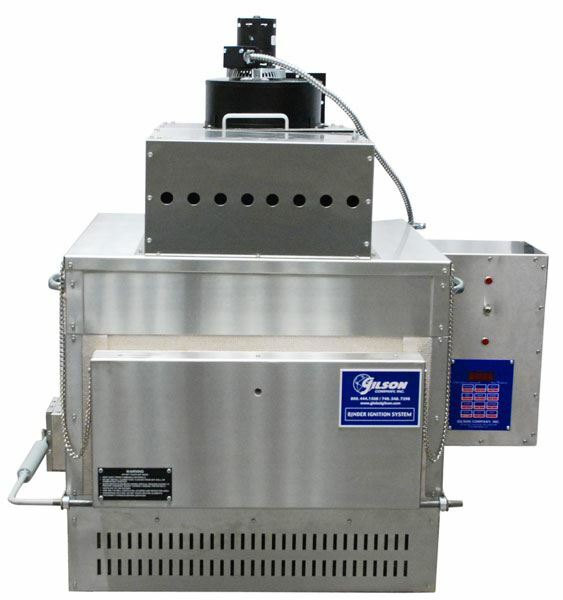 Gilson Asphalt Content Furnace - Gilson Co. 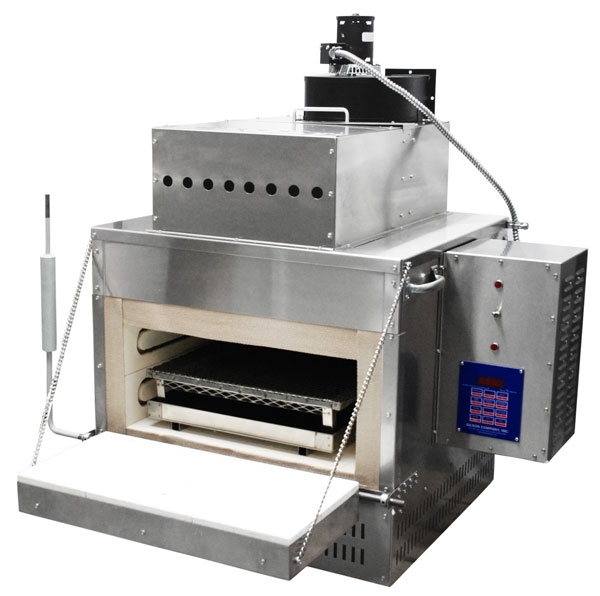 The HM-378 Gilson Asphalt Content Furnace is a simple, manually operated furnace that fully meets ASTM and AASHTO standards for asphalt content determinations of hot-mix asphalt (HMA). Standard 1,200—1,800g samples are processed in just 30—45 minutes. Larger samples up to 3,000g or more require longer times. Process times are comparable to automatic-weighing units and results equal or exceed the accuracy of automated systems. An asphalt sample is heated until the binder portion ignites. Temperature in the main chamber rises substantially above setpoint, peaks, then gradually returns to setpoint as coke-type residual products are burned off. When determining the decoking period to program for a new mix, the sample is merely returned to the furnace for additional 5—10 minute periods until completion is confirmed by stable total weight. As the asphalt ignites and burns, volatilized components of the binder are carried by the exhaust stream into the high-temperature afterburner chamber where they are completely oxidized. Large amounts of room air are drawn in, quickly cooling the exhaust for safe discharge to the outside. Any remaining particulate matter is captured in the disposable in-line filter. The furnace remains locked during operation until a safe temperature is reached during the cool-down process. The furnace ships configured to operate on 240V/60Hz, single phase power supplies, and a NEMA 6-50 Cord Set is supplied.